Red Media Africa has been named winner of the ‘Best Use of New Media’ and ‘Best Agency to Work’ categories of the annual Nigerian Institute of Public Relations (NIPR) Lagos Chapter. 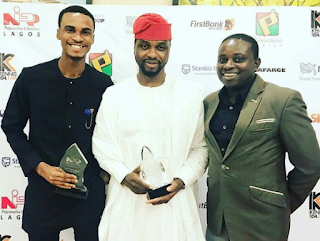 The Awards, which took place at Four Points by Sheraton, Victoria Island, Lagos, recognised Red Media Africa as a leading PR & Communication company with innovative work culture and cutting-edge service delivery. According to the organizers of the Awards, Red Media Africa won the categories due to its outstanding performance in helping brands across the continent leverage on new media tools to effectively connect with consumers while driving optimal results. Speaking while receiving the awards, chief executive officer of Red Media Africa, Adebola Williams expressed gratitude to the organizers while reiterating the company’s commitment towards harnessing the power of the media to effect positive change. “We are deeply grateful to have been recognized by NIPR for these awards. 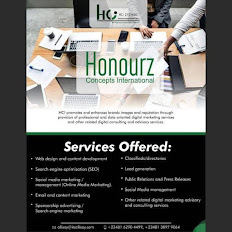 This serves as a validation of our work in delivering industry leading campaigns for our clients and other stakeholders,” he said. Red Media Africa is the communication outfit under RED – a network of four companies including Generation Y!, a media content outfit with TV and online components; StateCraft Inc, a nation-building company with expertisein elections and policy; and The Future Project, a social enterprise which hosts Africa’s biggest youth social change event, The Future Awards Africa (TFAA). In May 2017, the PR & Communication company was announced winner of the Gold SABRE Awards for Public Relations Campaigns for its work on Facebook CEO, Mark Zuckerberg’s inaugural visit to Nigeria in 2016, while StateCraft Inc., its governance consulting affiliate was recognized with a Certificate of Excellence for leading the communication campaign of Nana Akufo-Addo in Ghana’s 2016 presidential elections.